Substrate for planting seeds of this plants should contain one part crushed peat, one-part river sand and one part pebbles with granulation about 0.10 inches (3mm); or something similar which will provide better drainage, for example, broken brick or tile, perlite, ceramic pieces… Mix those ingredients in equal amounts. Sterilize the substrate in an oven for about 45 minutes at 350°F (180°C) or in a microwave oven for 3 minutes. You can treat the substrate with a fungicide too, but if you sterilized it, it’s not necessary. The substrate is sterilized in order to avoid fungus occurrence, which can completely destroy the seed or seedlings.3. The container you use for planting shouldn’t be deep. It’s enough to use 0.8 inches (2cm) of the substrate because it doesn’t develop a big root until a full year passes. The container has to have holes on the bottom so that the excess water can drain out. It’s good to disperse pebbles too, in order to ensure better drainage.4. When you fill the container with the substrate, gently tap it in order to make the surface even. Water the substrate by submerging the container into another dish with water. When the surface of the substrate starts shining, that means that the substrate is soaked enough. Take out the container and leave for the excess water to drain out.5. Put the seeds onto a moist substrate and tap them once again gently with a flat object, so that the seeds can stick to the substrate and not stay in the air. Covering the seeds with an additional layer of the substrate isn’t necessary if the seeds are tiny. The bigger seeds can be covered with a thin layer, just so you don’t see them. Be careful not to bury them too deep, because that way, they take more time to come out to the surface. If you cover the seeds with the substrate, you need to dampen the top layer too.6. You can do this in another way. Pour the substrate into the planting container, use a flat object to flatten the soil out, arrange the seeds, tap them into the substrate and use a water pump to dampen them. I recommend using distilled water or rainwater.7. Keep the moisture by covering the container with a piece of foil, piece of glass or plastic. It’s important that it’s see-through.8. Put the container somewhere in the shadow. Early in the morning or late during the night spray the substrate. 9. For germination of this seed, you need to provide oscillations in day and night temperatures. Keep them at about 77°F (25°C) during the day, and let the temperature fall under 68°F (20°C) during the night. It’s necessary to do this for some types in order to achieve germination. 10. Germination usually starts in 5-15 days (depending on the type). When the first seed germinates, remove the glass/foil, but keep spraying the substrate early in the morning and at night until the majority of seeds germinate. 11. After the germination process, most of the seeds need to be in a shadowy place for about 3 more months. You can expose it to stronger light afterwards. 12. There can be a slight problem of seedlings rolling over at the beginning. In that case, it’s obligatory to gently lift them and dig in a bit, but not too much. This is best done with tweezers. Place: As young, this plant loves to be in the shadow, while a mature plant can stand direct sunlight too. However, avoid exposing it to the strongest afternoon sunshine if it hasn’t been used to such treatment during the last couple of years. Substrate: Cactus substrate suits this plant. 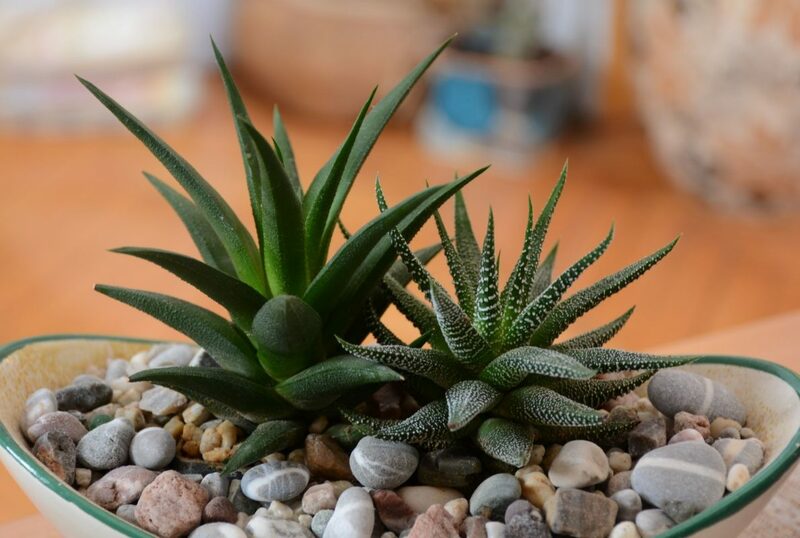 Provide the plant with poor soil with a lot of sand and pebbles which can ensure good drainage of the excess water. Topdressing: During the growth period, from April to September you can add topdressing. You can use Cactus topdressing. Repotting: You’ll need to repot the plant every 2-3 years. When the plant achieves certain maturity, it’ll start sprouting (not all types). You can start developing clusters then, in order to get more plants. Always repot them in a container one size bigger than the last one. Wintering: This plant should spend time at a bit higher temperature than Cacti during winter. You need to provide it with about 60°F (15°C) during most of the winter period. That temperature can sometimes fall to 50°F (10°C), but under the condition that the plant doesn’t spend a long time period at this temperature. You need to find it a place as far as possible from the heat source and provide it with enough light. Watering: These plants should be watered in the same way as Cacti. They can stand a long drought. It’s their active growth period during summer, so you should provide them with a somewhat larger amount of water. During high-temperature periods, you need to water them 2-3 times a week, but be sure to check that the soil has dried since the last watering. The root can rot a lot, so you need to be careful. Blossoming: The plant needs to age a few years so it can start blossoming (this goes for most types of this plant). When it starts blossoming once, it will blossom every year during the period between May to September.